2019 marks the 400th anniversary of several key historical events that occurred in Virginia in 1619 that continue to influence America today, including the first representative legislative assembly in the New World, the arrival of the first recorded Africans to English North America and the recruitment of English women in significant numbers. 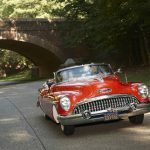 As part of the 2019 Commemoration, American Evolution, an array of special exhibitions and events will take place throughout the year at America’s Historic Triangle attractions, including Jamestown Settlement and the American Revolution Museum at Yorktown, and across Virginia. 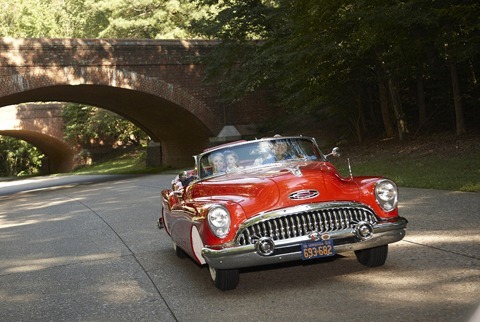 America’s Historic Triangle Ticket – 5 ATTRACTIONS. 1 TICKET. 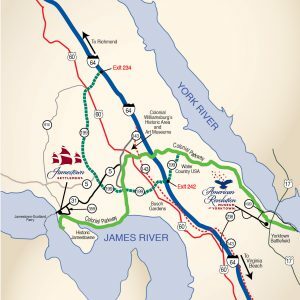 The America’s Historic Triangle Ticket features unlimited admission to three premier living-history museums – Colonial Williamsburg, Jamestown Settlement and the American Revolution Museum at Yorktown – and two National Park sites – Historic Jamestowne and Yorktown Battlefield for up to seven days with free parking. 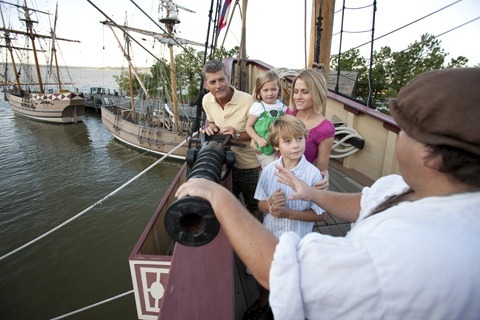 Three-night packages for two adults start at $399 (includes America’s Historic Triangle ticket)! Call 1-800-763-0659 for more information. 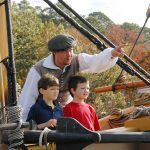 A living-history museum of 17th-century Virginia, Jamestown Settlement evokes the world of America’s first permanent English settlement. 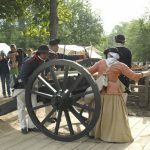 Learn the story of Jamestown through gallery exhibits and living-history interpretation in outdoor settings. 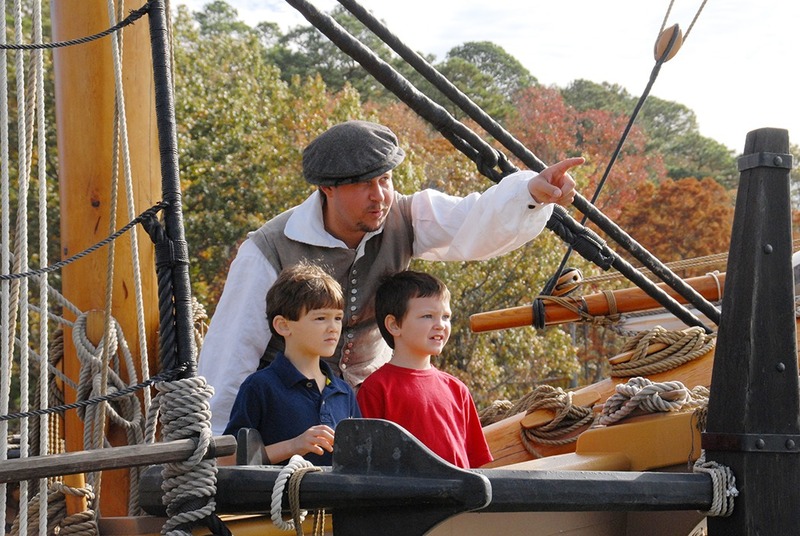 Explore the re-created Powhatan Indian village, board a replica of one of the three ships that landed in 1607, try on armor in the re-created 1610-14 fort. Take in the yearlong special exhibition, “TENACITY: Women in Jamestown and Early Virginia,” on display through January 5, 2020. The site of America’s first permanent English settlement, Historic Jamestowne offers a wealth of activities: witness archaeology in action at the 1607 James Fort excavation, see the original 17th-century church tower, tour the Visitor Center with its multimedia presentation, tour the Archaearium which displays many of the artifacts unearthed in the fort, and drive the scenic Island loop road. 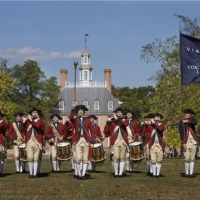 America’s oldest and largest live interactive history experience, Colonial Williamsburg’s 301-acre Historic Area brings Virginia’s 18th-century capital city to life every day. 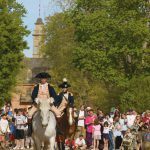 Take a carriage ride, visit the shops and taverns where Thomas Jefferson, Patrick Henry and others conceived the ideals of liberty, independence and personal freedom that influenced the founding of the nation. 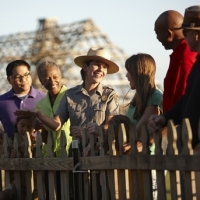 Listen as the Declaration of Independence is read to the citizens. 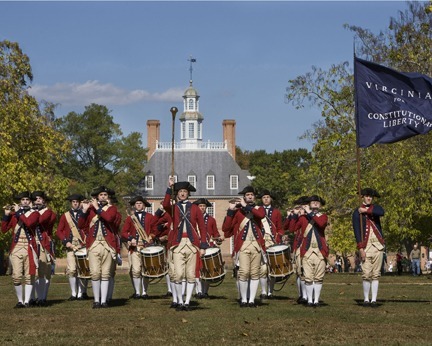 March from the Capitol to the Courthouse as Washington and his troops begin their journey toward Yorktown and victory. 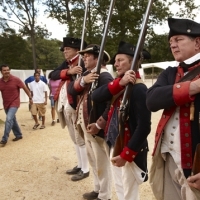 The American Revolution Museum at Yorktown chronicles America’s struggle for independence, from colonial unrest to the formation of the new nation. 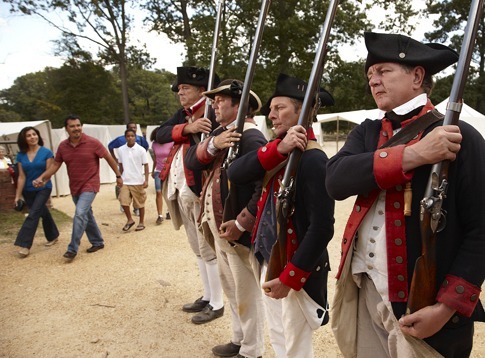 A timeline, films and immersive exhibits highlight the experiences of ordinary men and women who lived during the Revolutionary era. 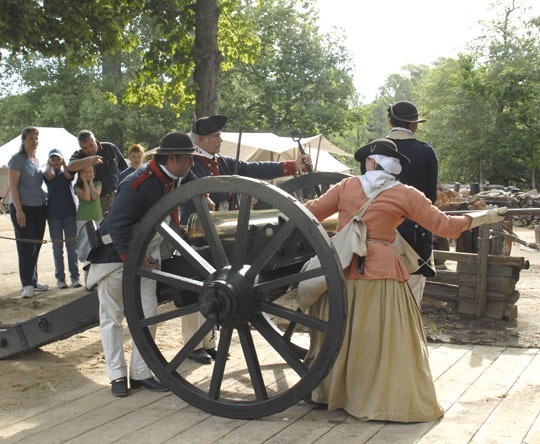 Outdoors, experience a soldier’s life while mustering with troops in a re-created Continental Army encampment. 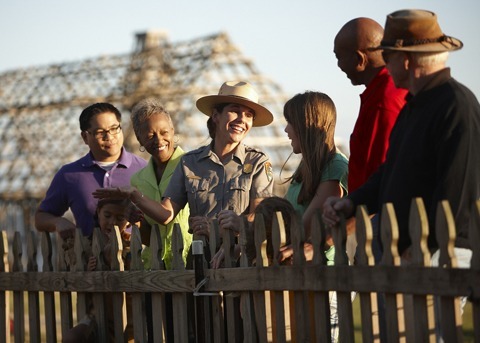 On a re-created Revolution-period farm, help with chores such as weeding the garden and processing flax. In the exhibition galleries, see a rare July 1776 broadside printing of the Declaration of Independence. A special exhibition, “Forgotten Soldier,” opens June 29, 2019, through March 22, 2020. 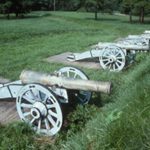 The site of the final major clash of the American Revolution, Yorktown Battlefield allows visitors to follow in the footsteps of General George Washington and to walk where this historic event took place. 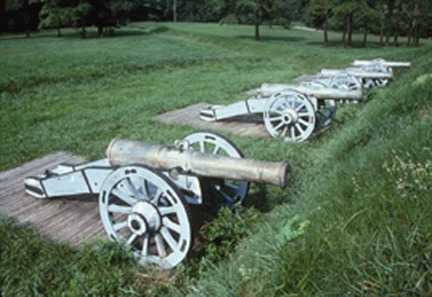 Drive the battlefield and encampment tour roads, visit the Moore House where the surrender negotiations took place, see the site of the British surrender, and watch The Siege of Yorktown film at the National Park Service Visitor Center, which displays artifacts from the siege, including tents used by General Washington. 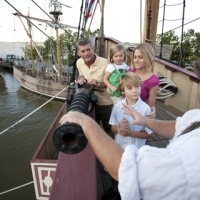 America’s Historic Triangle vacation package offers a wide variety of lodging from budget, mid-range to deluxe accommodations and includes unlimited visits to all five historical attractions. Book your America’s Historic Triangle vacation today!